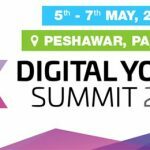 Digital Youth Summit (DYS) is a technology conference and startup expo that takes place on an annual basis in Peshawar. The summit was initiated in 2014 with a vision of Youth Empowerment. Every year this conference attracts high profile domestic and international attendees and speakers. The summit is aimed in bringing together “the next generation of digital innovators in Pakistan” and revolves around three key audiences including tech industry leaders from Pakistan and abroad, the nascent startup community; and young people looking to network, learn and be inspired. DYS 2017 is going to held on 5th-7th May 2017 in Peshawar and is organized around three key issue areas: Digital Employment, Tech Entrepreneurship and Innovation. DYS is jointly organized with the efforts of Government of Khyber Pakhtunkhwa and the World Bank along with key local community and academic partners. KPITB is an independent organization working in Khyber Pakhtunkhwa for the promotion of Information Technology, IT-enabled Services (ITeS) and IT-enabled Education (ITeE) in the province. KPITB’s mission is to create jobs, improve services and increase the adoption of digital technologies in the region. World Bank acts as a major source of financial and technical assistance to developing countries all over the world. Since early 2014, the World Bank has been working with the Khyber Pakhtunkhwa IT Board and civic sector stakeholders to foster tech entrepreneurship in the Khyber Pakhtunkhwa region through initiatives such as the Digital Youth Summit, the ArtTech Festival and the KPApps Challenge. All the startup founders can pitch their newest innovative ideas at DYS’17.